Heading into the next presidential extravaganza, one of the many potential ultra-progressive platform items is reparations for slavery. Many leftist candidates like Elizabeth Warren, Kamala Harris, Robert Francis O’Rourke, Corey Booker, etc., have either signed on or are considering an endorsement of it. So popular has it become that a few days ago, CNN dedicated a full one third of its home page to various articles regarding reparations. And it’s not just grabbing the attention of democrat politicians, clamoring for relevancy, but has naturally taken hold of the skulls full of mush (h/t: Rush Limbaugh) on college campuses. Surprising, I know, that “woke” college students would sign onto a program that takes money from one and distributes it to another. Parents – You must be so proud of your Woke offspring, as they mindlessly protest a man who was clearly innocent of all charges leveled against him. But facts no longer matter to college campus snowflakes who ironically attempt to bully anyone they disagree with. Or more precisely, anyone they are told to disagree with. And at the University named for one my revolutionary heroes, George Mason, nonetheless. You’ve probably seen or heard of the dust-up at Hofstra University. Some snowflake students want to remove a statue of Thomas Jefferson. Yes, Thomas Jefferson. 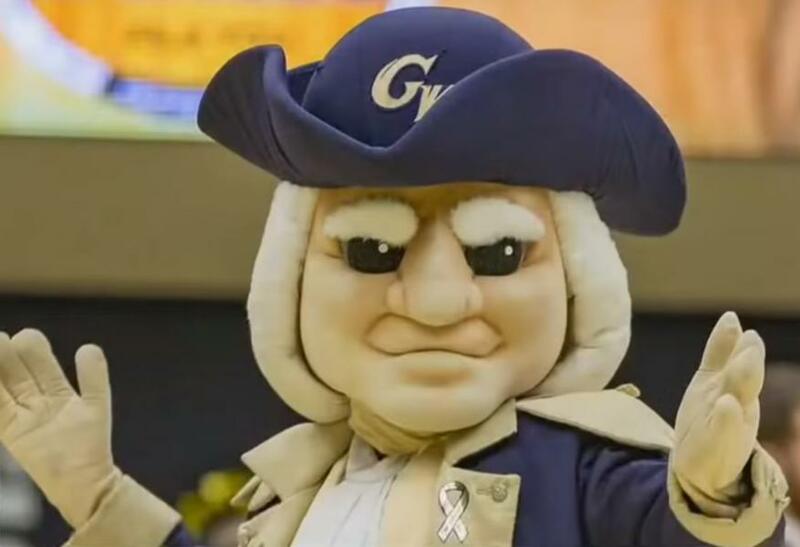 Now, George Washington University students want to rid themselves of the evils of the school’s mascot, George Washington. Let’s just erase our entire history. President Donald Trump signed an executive order on Thursday tying federal research funding for colleges and universities to their policies governing free speech. In spite of negative press and the efforts of several schools working to keep the popular restaurant off their campuses in recent years, Chick-fil-A remains a steady presence at hundreds of schools across the country. I called for diversity of thought. My peers compared me to a neo-Nazi. As I took part in a recent student leadership board meeting for the Department of Political Science at Boston University, a group that works to advise faculty on ways to improve, I offered some advice: the department could use more intellectual diversity. We’ve all the term, when at an impasse during a discussion, one turns to another and says: “Well then , I guess we must respectfully agree to disagree.” This respectful disagreement can happen when the people involved are both reasonable and have shared goals. But as Owen Benjamin at Prager University explains, this new strain of radical leftists have no shared goals with the rest of us reasonable Americans. Therefore, it’s impossible to respectfully agree to disagree. The University of Iowa has placed 32 campus religious groups on probation because they are supposedly in violation of the school’s anti-discrimination policy. The public became aware of the list during arguments in federal district court last week involving a Christian student group initially kicked off campus.